Ever had a plumbing emergency and nobody is available? You probably know what we are talking about. You go from plum to plumber and not a single plumber can assist you. All plumbers are fully booked especially on weekends. You sigh and ask yourself. Can this plumbing emergency wait till Monday? Drain Ratz Plumbers has now become a 24 hour emergency plumbing company. We know that plumbing emergency is one of the most stressful and disruptive events a homeowner can experience. Drain Ratz Plumbers offers a 24-hour solution for your residential and commercial properties. 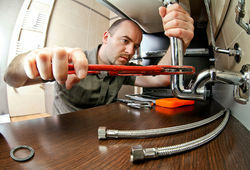 You can rely on our emergency plumbers for fast and effective repairs. We are plumbers in Pretoria, Plumbers in Midrand, plumbers in Cape Town and plumbers in Johannesburg.Drain Ratz will give you the best advise possible to enable you to have a peace of mind. Should you need emergency plumbing services, please contact us on our share call emergency number on the “contact us” form. Our emergency plumbers is expert in the plumbing field. Our plumbing technicians enjoy their work and it shows. According to the Bureau of Labor Statistics, U.S. Department of Labor, Occupational Outlook Handbook, 2014-15 Edition, Plumbers, are fast becoming the no 1 occupation in the world, next to pipe fitters and steam fitters. Publish Date: Wednesday, January 8, 2014.Employment of plumbers next to pipefitters, and steamfitters has a growth projection of 21% from 2012 to 2022. This is the fastest average for any occupation in the world. Construction of buildings (old designs or the new more modern greener designs) is driving supply and demand for licensed plumbers throughout the world. We are all aware that sewerage systems are evolving every year to more compact and eco friendly systems. Updated plumbers with a flair for new developments in the sewerage field (i.e. – septic drain fields/sewerage treatment plants/bio mite systems) will never have a shortage of work now and in the future. Drain Ratz, Plumbers in Midrand, Plumbers Johannesburg,Plumbers in Cape Town and Plumbers in Pretoria’s secret of success in keeping ahead of the pact is: Education and continues research in the Plumbing industry. The essence that makes us different from all the other plumbing companies is that we learn from our mistakes and we are constantly evolving as a plumbing company towards human betterment. Being a woman owned company, the gentler side of plumbing is ever so evident in mannerism and in the way the plumbers of Drain Ratz conduct themselves. Drain Ratz Plumbers is installs sustainable bio friendly plumbing systems besides doing the daily yet necessary plumbing maintenance like: Remember that we are reliable and experienced plumbers in Pretoria, plumbers in Midrand, plumbers in Cape Town and Plumbers in Johannesburg. We provide sound plumbing services. Plumbing Certificate of compliance: COC: Your plumbing needs to be in accordance of the NHBRC Regulations and every home needs a plumbing COC. We all know that there can be huge damages to your home should there be a flood or a fire. Your insurance company would want you to issue them with your homes plumbing COC. iF you cannot provide a plumbing COC, your insurance company may not cover the damages incurred. Drain Ratz Plumbers will be able to rectify, resolve any non-compliant issues and provide you with a plumbing certificate of compliance. All risk Insurance: Negligence from a plumber could be for your account. Drain Ratz plumbers are fully covered for any unforeseen damages that may result from negligence from a plumber.